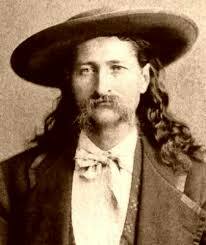 By now, it’s no secret that I am partial to the history of the Old West. 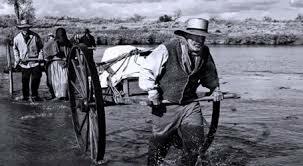 My interest, spurred first by stories of my ancestors, Mormon pioneers, crossing the plains and Rocky Mountains with handcarts, has never wavered. I love the stories of their determination, sacrifices and just plain grit in the face of hardships. I often wonder if I would have the courage to pick up, leave everything behind – friends, possessions, businesses – to start over in some desolate area, based solely on the belief that leaving was the right thing to do. Of course, in some cases, because of physical and emotional persecution, leaving was really the only thing to do. Can you imagine spending days, weeks, months doing this? I’m sure it helps that I was born in my grandparent’s log cabin, an unexpected twin, and my brothers and I spent years playing make believe with my grandfather’s rifle, saddle and even my grandmother’s treasured spinning wheel. Stored inside what we called the granary was a wonderland of strange treasures from the past, treasures that fueled my imagination and fascination with history. 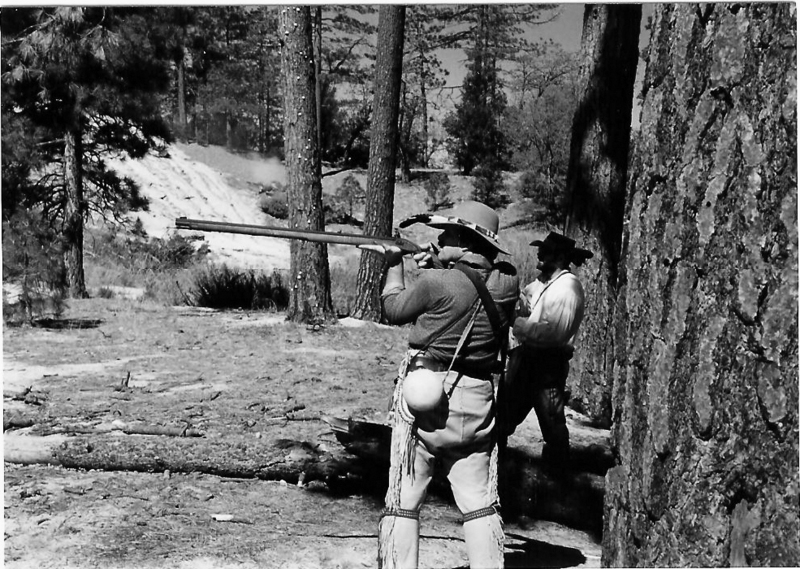 Learning about my grandfather, a blacksmith who left his native Sweden to journey to America and make his fortune, and then spent time in Deadwood, South Dakota back when it was a wild frontier town filled with legendary characters such as Wild Bill Hickok and Calamity Jane, further encouraged my imagination. 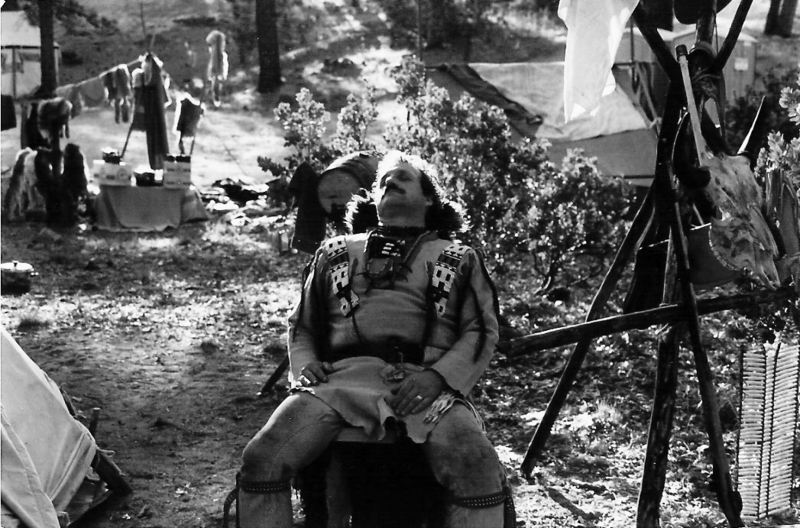 I wanted to be him, living adventurously, free from the constraints of modern society. As an adult, I’ve spent much of my free time studying the history of our country, from its founding through the 20th century. 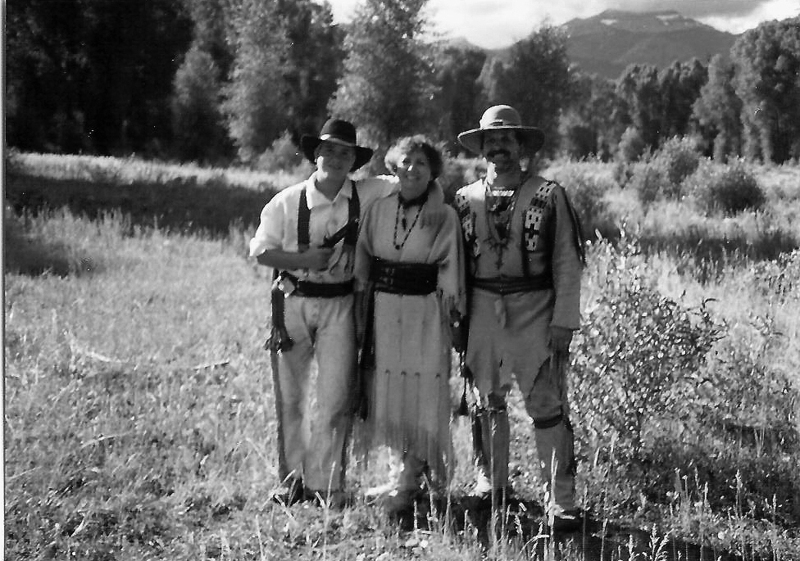 However, most of my concentration has been on the life and times of the mountain men and their sometime allies, sometime enemies – the Indians. I admit, as I read of their times, life-style and adventures, I want to live them myself. And, in my mind I do, every time I research their lives, participate in living history, build a rifle, and create art documenting their story. In every aspect of life, there are moments when things go wrong. This painting reflects one of those moments. Rider and horse are one, or are they? The horse senses danger and is shying away. The rider, too involved in the hunt, senses no such danger. Will this be a turn for the worse? 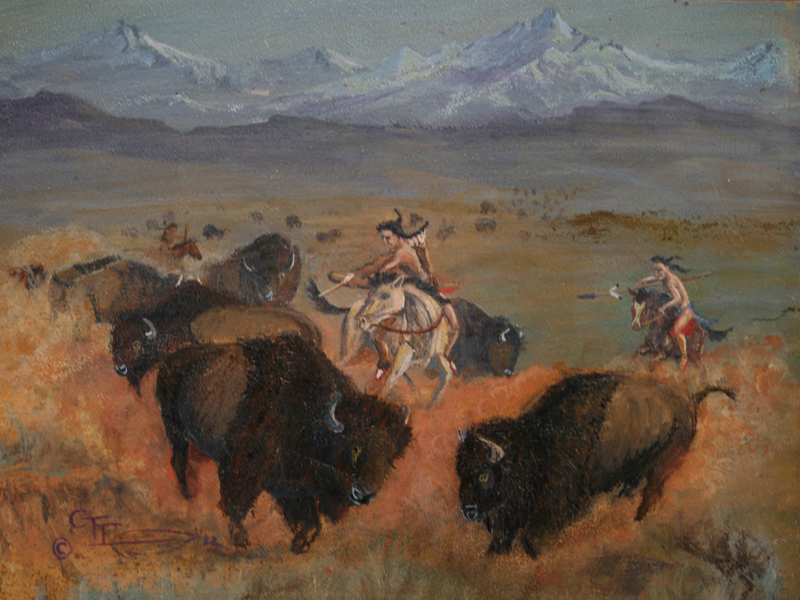 The Buffalo are intent on escape, but turn into each other. Will they avoid a crash? Or, will they end up in a crumpled heap, easy prey for those in the chase? In either case, a turn is happening. 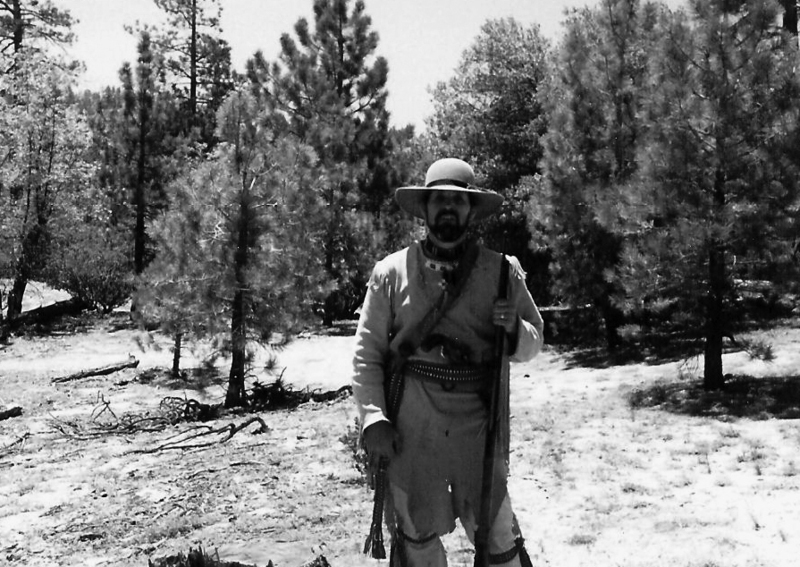 It’s rendezvous time and all around the West reenactment organizations or “buckskinners” are finishing preparations for a shining time around the campfire. Participating in rendezvous has been a source of inspiration, frustration and some of the best times, I’ve known. There are those who find recreating history to be odd, silly and maybe even just plain dumb or a waste of time and money. However, at rendezvous, I have learned more about history, men and nature then could ever be taught in either a class or boardroom. The life of a mountain man or fur trapper was hard – there weren’t many that died of old age – because the very nature of their life brought them face to face with death on a regular basis. Of course for those that survived to tell the tales, these adventures became the stuff of legend. 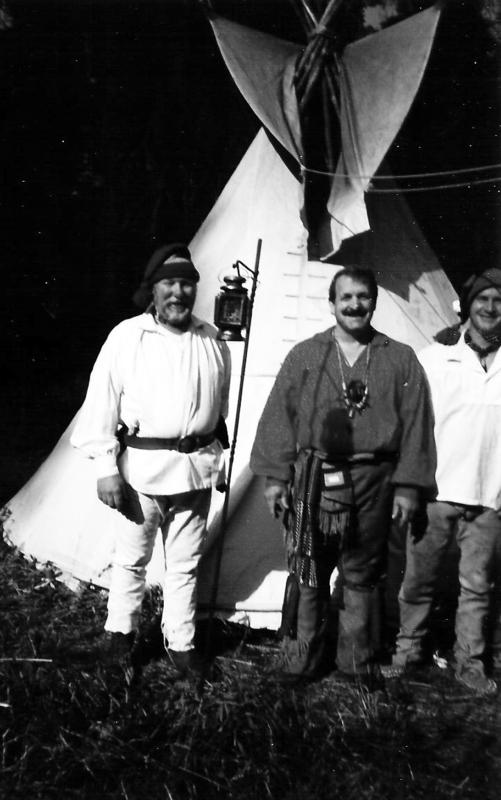 The tradition of a rendezvous grew out of a need for the trappers to exchange pelts for supplies, and quickly grew into a month long revelry with trappers, travelers, women, children, Indians and company men joining in. Today’s rendezvous are similar – we compete, we trade, we tell tall tales, we learn from each other and we have a good time. 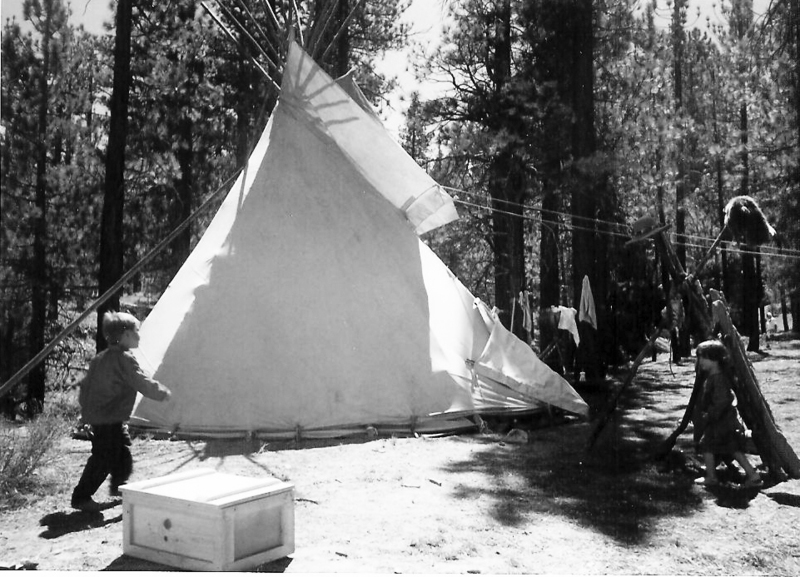 Conditions are primitive – no electronics, no RV’s, no refrigeration, no running water – and it’s easy to find yourself transported back in time, where things might have been simpler, but they certainly weren’t easier. 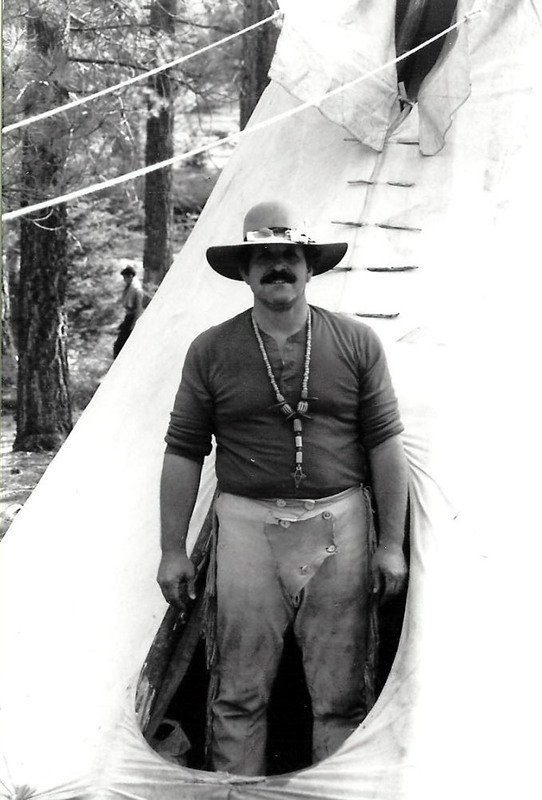 And yes, I handcrafted all my goods and clothing… from the brain tanned leather, to the beading and quillwork, along with my muzzleloader. 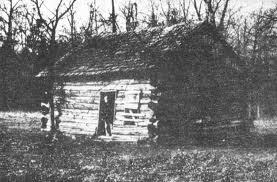 What I didn’t make, I traded for, just as the original mountain men did. So, are you ready for shining times around the campfire?